Emo Haircut | Photos, Styling Tips and More! Emo hair is all about edge, creativity, and dramatic self expression. Emo hair is usually black, sometimes with random chunks of funky bright colors or blond highlights. The cuts are full of texture and layers with long sideswept bangs and a full or spiky crown. There are multiple ways to style this statement hair. There’s such a variety of ways the emo style can be cut that you can find one to flatter any facial shape. If you have a wide or round face go for layers in the front sections and crown. Long, sideswept bangs that just hit the corner of the eye look best with a heart shaped face and longer styles for longer faces. It can be worn short, medium or long. It’s all about how you want to express yourself. Avril Lavigne with her trademark pink locks. The stylist creates an emo style by using a razor comb to thin out the last few inches. The crown is kept full with razored, spiky layers. 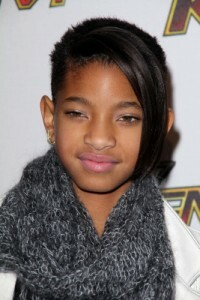 The bangs are also razored into long wispy pieces and swept to one side. For your base color go for black or dark brown. Have your stylist foil in big chunks of hot pink, purple, blue or blonde. This is what really makes this hairstyle so fun! You can add different colors to it, using as much or as little as you want. The Emo style looks good on both men and women. 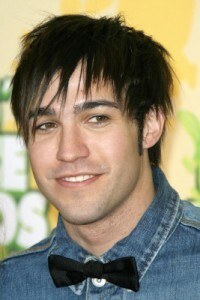 Here Pete Wentz shows how great it can look on guys. For the basic emo style use hair gel while hair is slightly damp. After blow drying use a straightener to make the bottom portion and the bangs sleek and straight. Use a rat-tail comb to tease the crown for the full, spiky look. Use hairspray and your fingertips to shape your style. You will never get bored styling emo hair. There’s so much that you can do! Emo hair shows creativity and self expression. There is no one way to do it. It’s very unique to each person but always bold. This daring hairstyle will definitely be noticed.